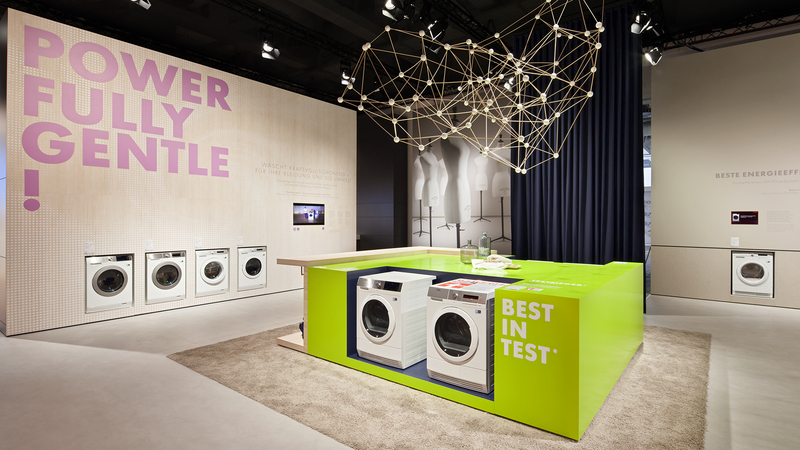 For already the seventh time in a row D’art Design Gruppe develops a fair design for Electrolux in Berlin at the IFA 2014. 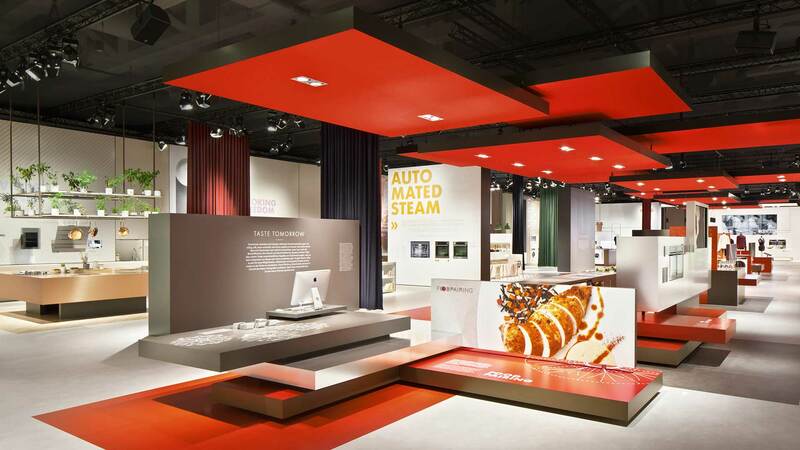 Electrolux presented a vibrant experience concept in the context of the strategic core topic “Always An Idea Ahead”. 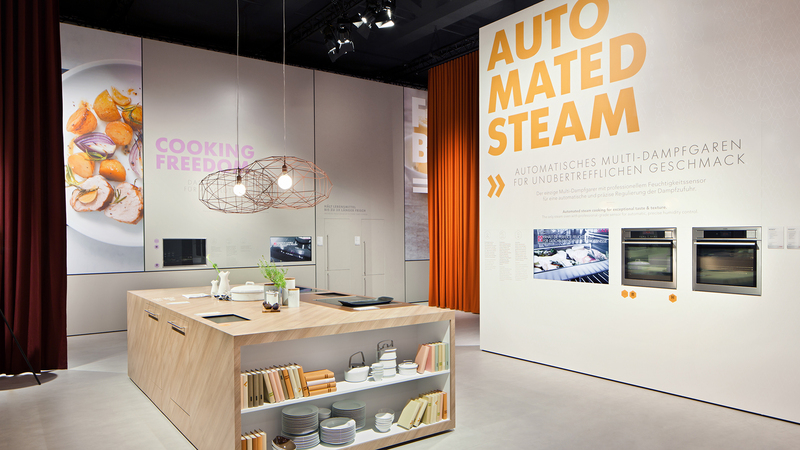 According to the spirit of Emotional Branding, Electrolux gives visitors an understanding of the brand AEG by means of multi-sensory technologies and confirms its communication topic with a “Future Landscape”. The fair concept of D’art Design Gruppe and its design are geared by on the AEG core topic „Always An Idea Ahead“. 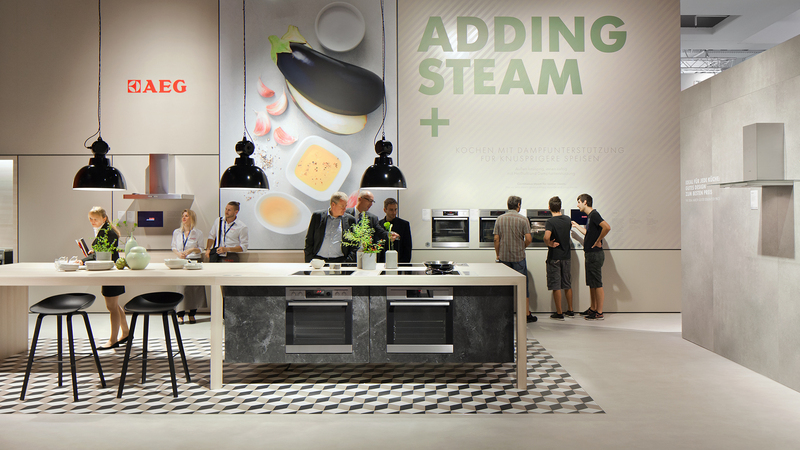 Eighty per cent of the 2,800 square metres exhibition area at the IFA are thus dedicated to the German brand AEG and put it into the spotlight. The visitors commence their journey throughout the AEG experience world in a “Future Landscape” in a central place within the stand. This Landscape is implemented design-wise with a plate-tectonic arrangement of stacked plates, wall and ceiling elements in the dominant AEG red. This results in a path that leads through the landscape. Visitors can walk the path in two directions in order to immerge into the six product areas that are arranged next to it. At the heart of the “Future Landscape” there are the future trends that are substantially taken into account during the products’ development. 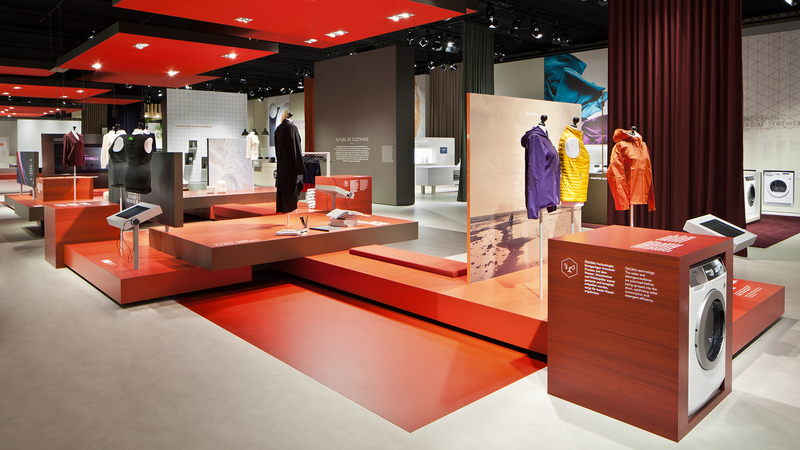 By means of interactive experience stations and multi-sensory moments, visitors learn about the future-oriented practices and approaches of the brand. 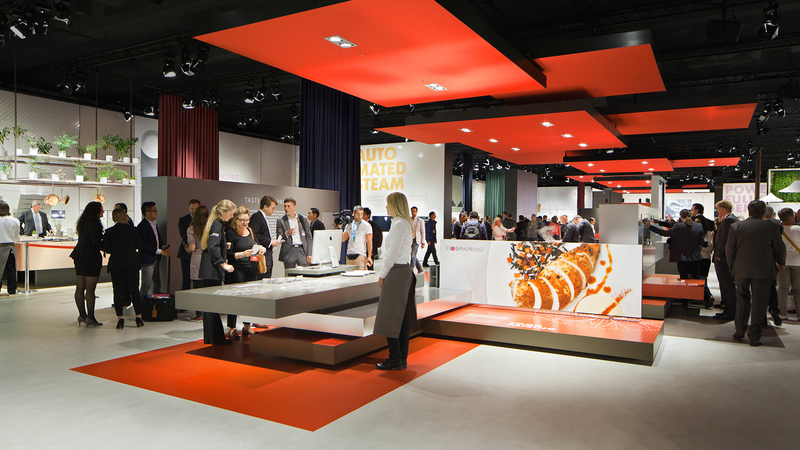 It was of special importance for us at the IFA 2014 to inspire our visitors and to invite them to try things and interact with the exhibition. Our objective was to, on the one hand, address all senses, and, on the other hand, encourage people to reflect upon things. D’art Design Gruppe achieved to put this objective into practice with the concept and we are happy about the visitors’ positive response.